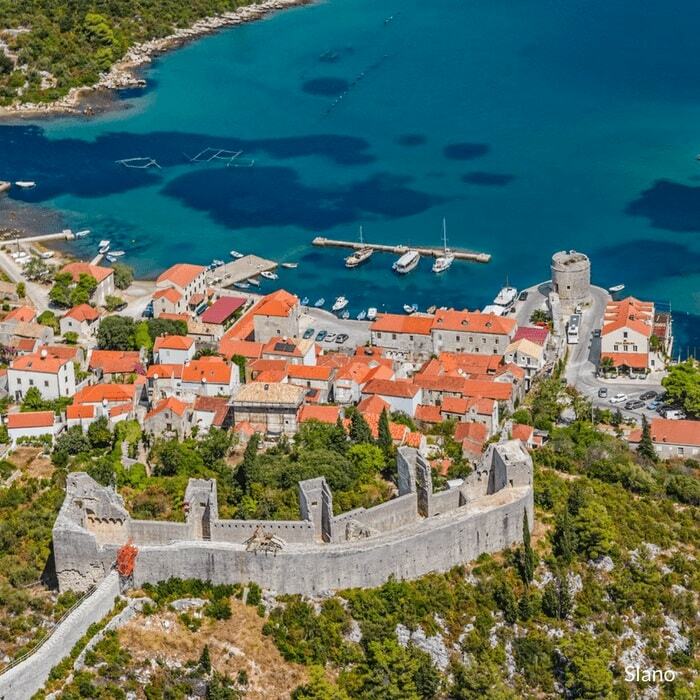 Explore the Northern Dalmatian coast offering a wealth of medieval towns, breathtakingly beautiful national parks and unspoiled islands. 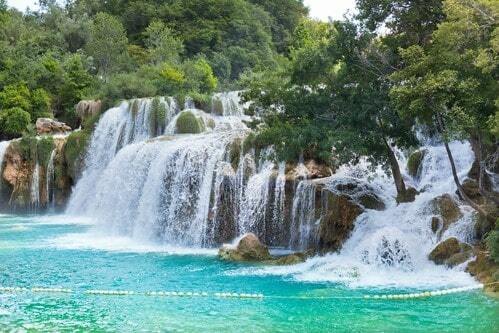 Departing from Split, this luxury cruise is ideal if you’ve already visited Dubrovnik. Includes a daily delicious breakfast, 4-course lunch and several guided tours. You can board the ship from 1300hrs. 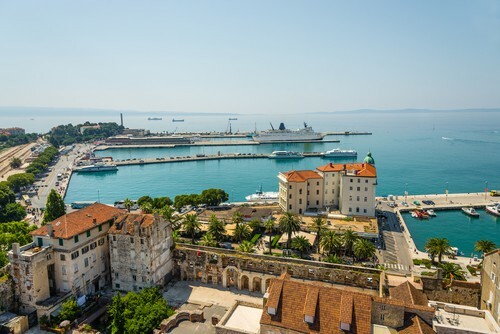 You will have ample time to walk around the city, strolling along the Riva, Split’s chic seafront promenade, or through the historic cobbled passageways. 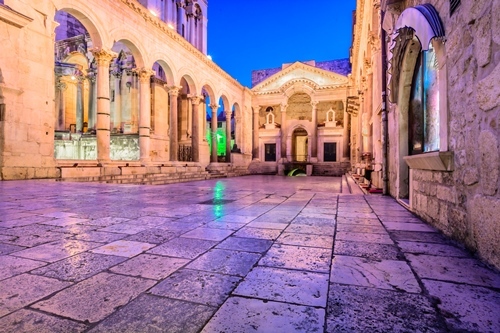 View the impressive architecture of the iconic Diocletian’s Palace, before settling aboard the ship in the evening. During dinner, you’ll be introduced to your fellow passengers and the captain and crew. 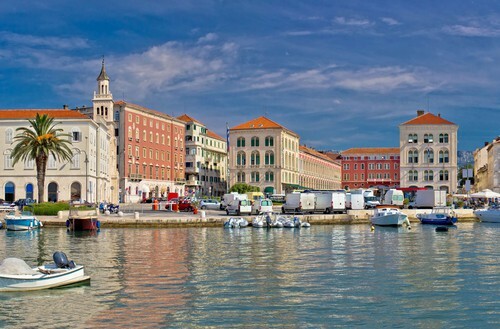 Sail towards the Venetian city of Zadar, stopping off at the medieval fishing village of Primošten en route to the stunning Krka National Park and its collection of waterfalls and natural lakes that are surrounded by miles of lush forestry. 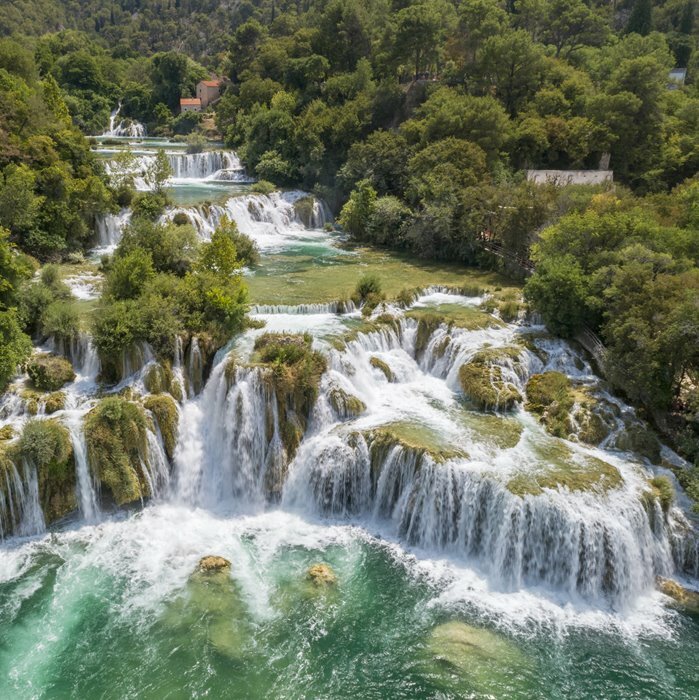 Explore the nature trails and pass alongside the gorgeous falls at Roški Slap, and the picturesque Visovac Island, that’s home to a unique 15th-century monastery. 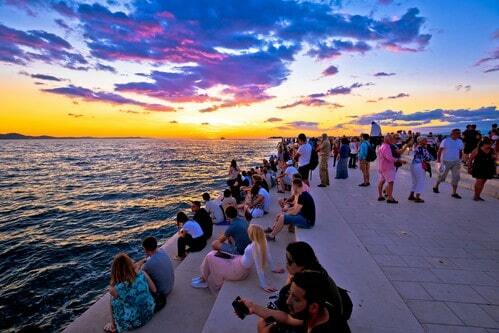 Take a walking tour of the historic centre of Zadar, with highlights including the 16th century Venetian city walls and the towering Zadar Cathedral. Cruise towards the Kornati National Park, known as a ‘nautical paradise’ viewing a huge collection of islands, some topped with forests and others with white karst hills that form stark cliff sides, deep cave systems and beautiful grottoes that are striking against the vivid backdrop of the Adriatic. We will explore the islands and stop for refreshing swim stops before sailing onwards to Zlarin in the Sibenik archipelago, a beautiful village known for its vibrant corals and rustic charm. Enjoy the captain’s lavish dinner with starlit views of the island. We’ll leave Zlarin in the early morning to Vis Island, which has a wonderful lost in time feel to it, with its pretty fishing villages and charming unspoiled landscapes that were kept a secret until recent times due to their use as a Yugoslav naval base. 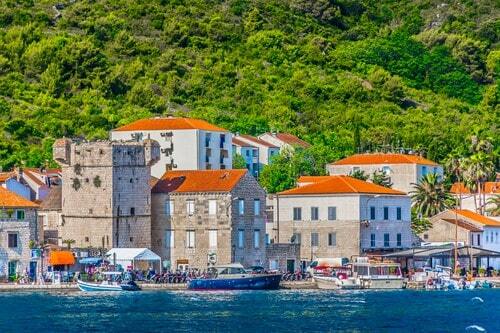 We’ll arrive in time to take a walking tour of the horseshoe-shaped bay of Vis on the north side of the island, which is home to a charming collection of 17th century town houses and a warren of stony alleyways that are filled with rustic cafes and pretty piazzas..
Set sail to the small island of Biševo to visit the unique Blue Cave, which is cast in an eerie blue light for just a short time every day, when the sun breaks through a natural entrance to the cave and reflects through the water. 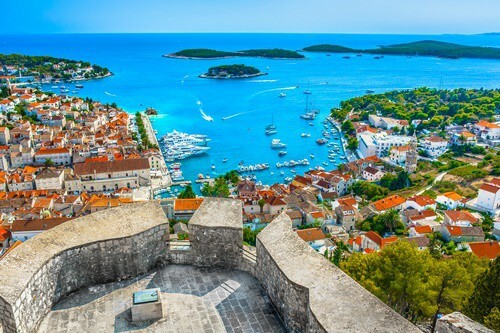 Cruise on to the jet-set island of Hvar, stopping in one of the island’s bays for a rejuvenating swim stop, and arriving in Hvar Town in the afternoon for a walking tour of the glamorous old town. Sample some delicious Dalmatian cuisine in one of Hvar’s world-class restaurants, either in the chic harbour or in the delightful streets of the old town. 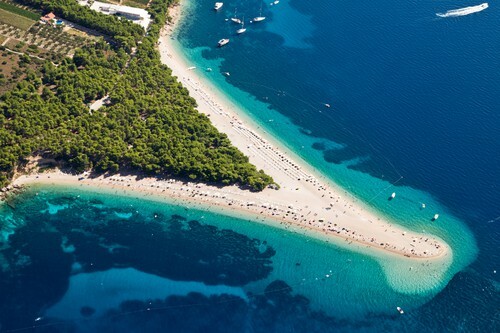 Sail along the gorgeous waters of the Adriatic to our final destination: Brac and the enchanting Bol, home of the world famous Zlatni Rat Beach, which stretches out as a sandy horn into azure sea. We’ll drop anchor either in the port of Bol or on the north west side of the island on the shores of Milna, a quaint fishing village with a picturesque marina that looks out to the nearby island of Solta and has a tiny population of 800. We head back to Split, pausing briefly for a swim stop, before enjoying lunch aboard the ship as we approach the terracotta-red rooftops of Split. You’ll have the day to yourself to explore the delightful old town. 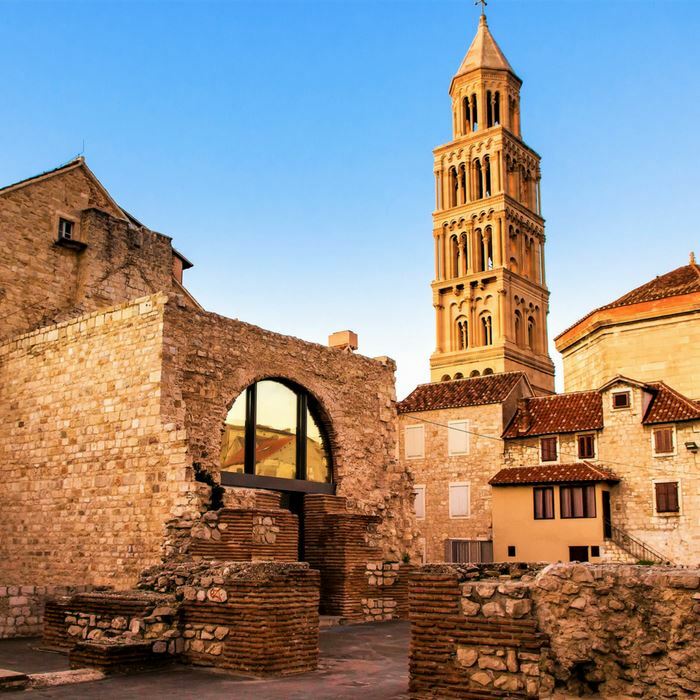 If you didn’t have time on your first day, then we suggest a stroll through the incredible Diocletian’s Palace, which makes up the core of Split’s maze-like old town and is home to a collection of architecture styles, from Roman through to Renaissance and Gothic. 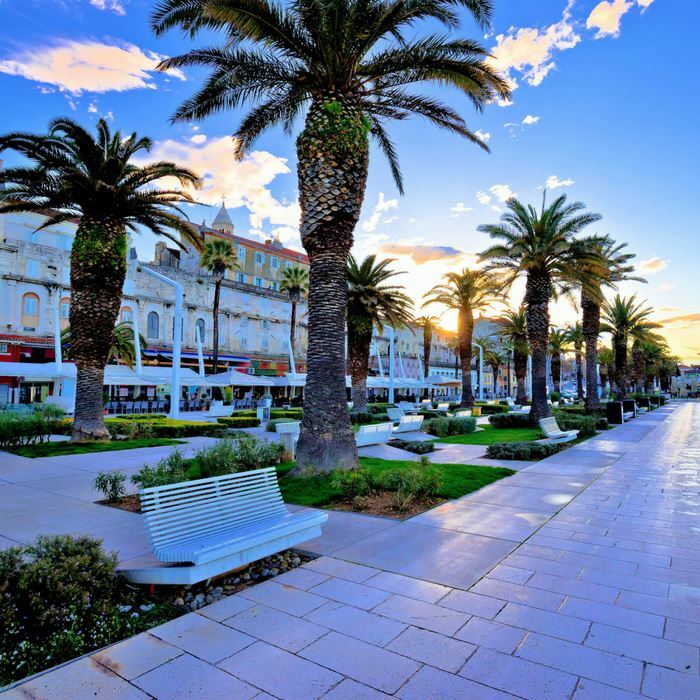 After a final breakfast aboard the ship, you’ll bid farewell to the captain and crew and your fellow guests and either have a private transfer to Split Airport or to your onward destination.